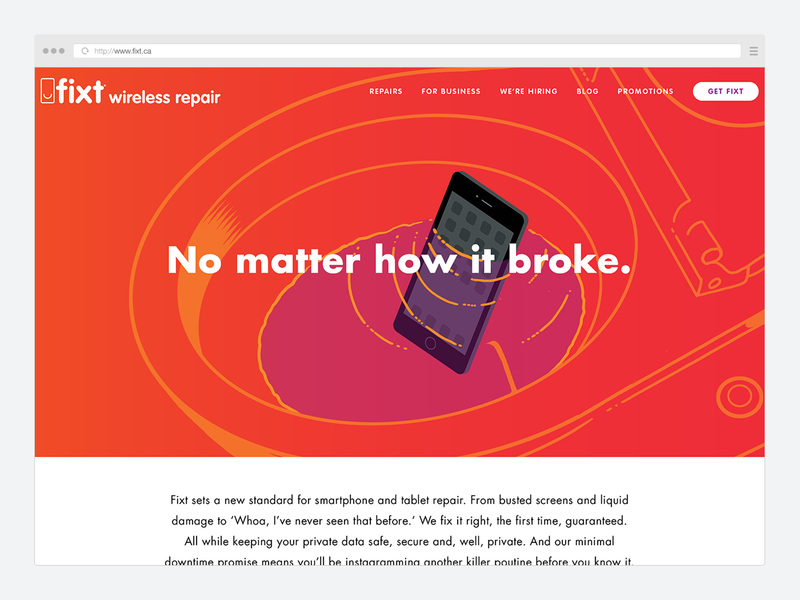 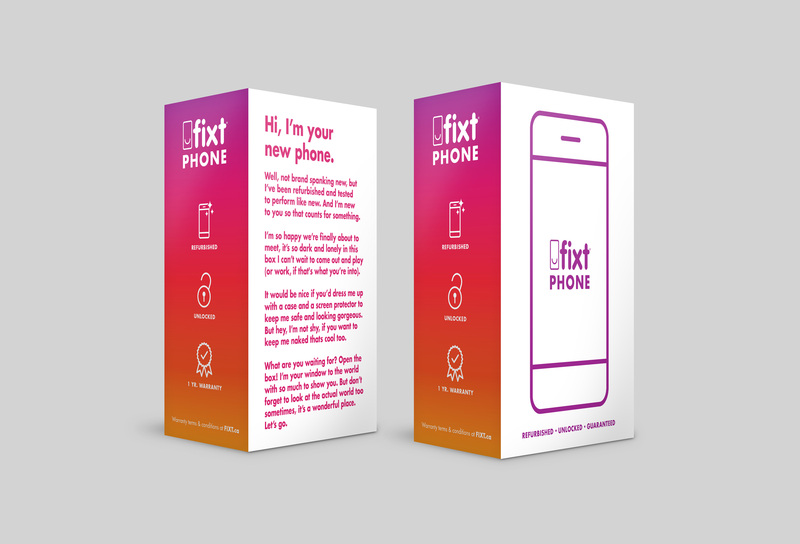 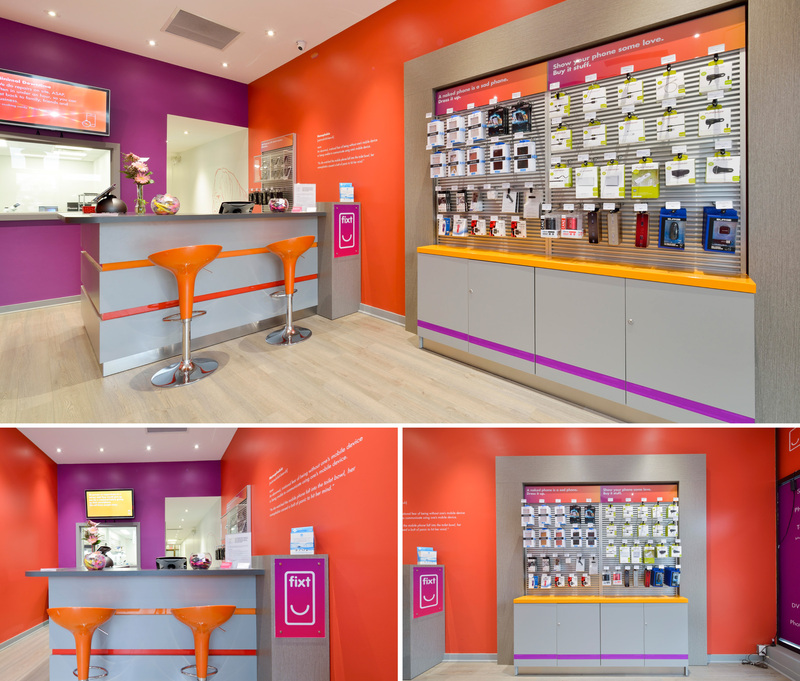 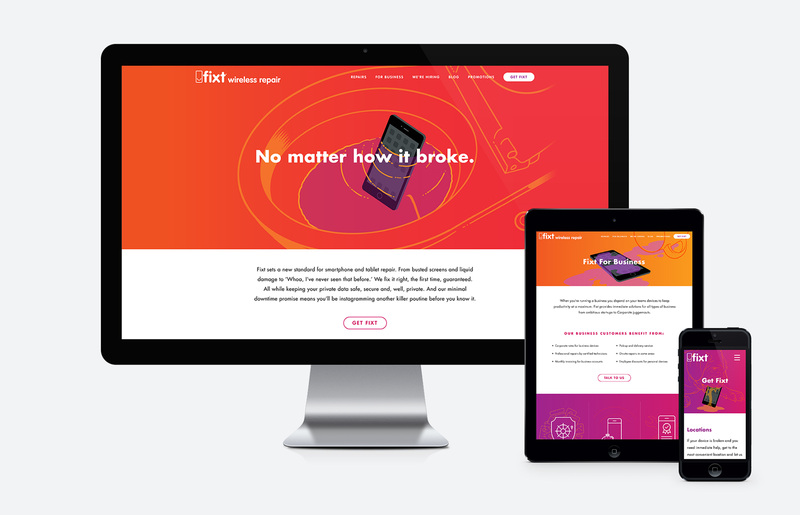 Fixt Wireless Repair - August Design Co.
We were approached by a group of entrepreneurs who were in the early stages of launching a chain of wireless repair shops. 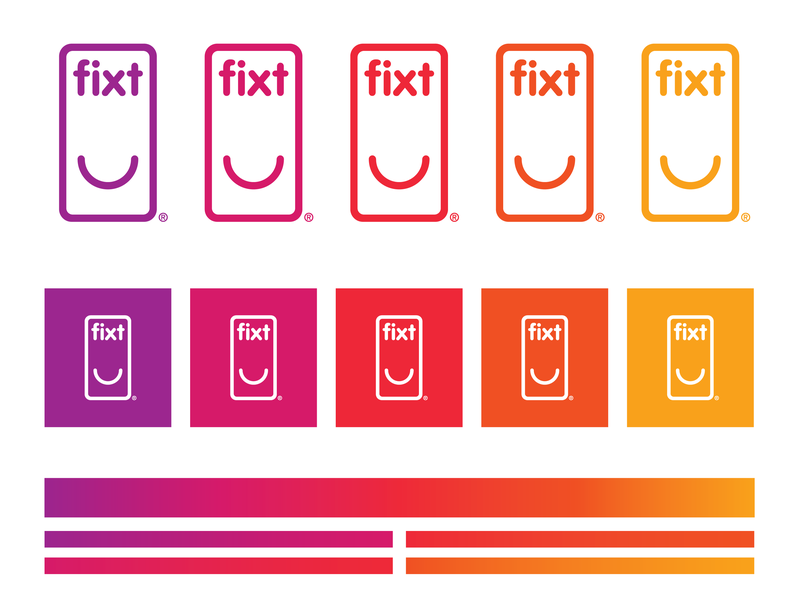 Name generation led us to ‘Fixt’ as a quirky way to espouse the end benefits of their services. 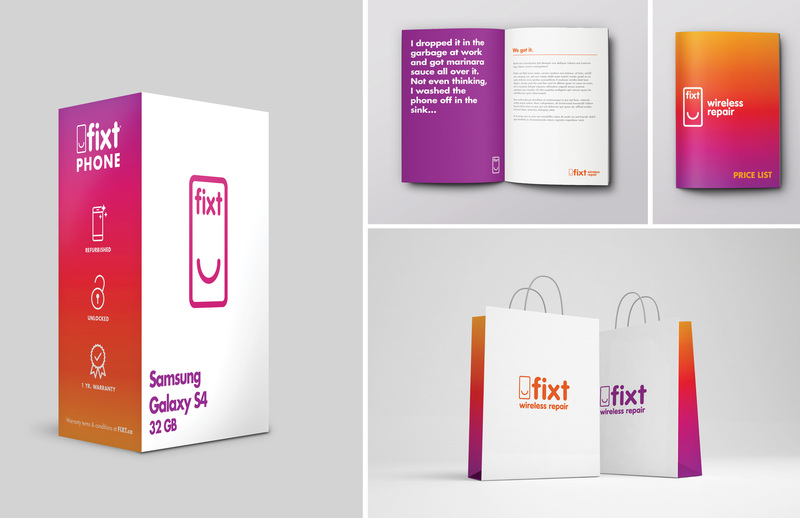 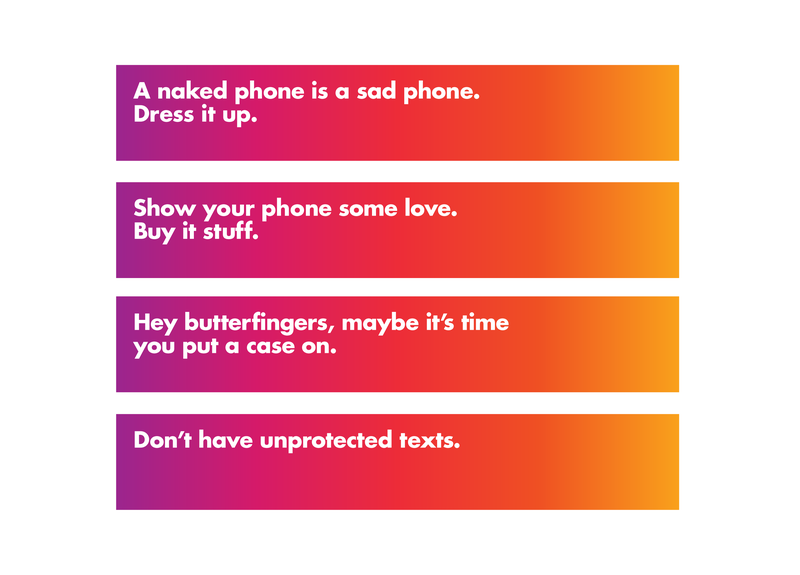 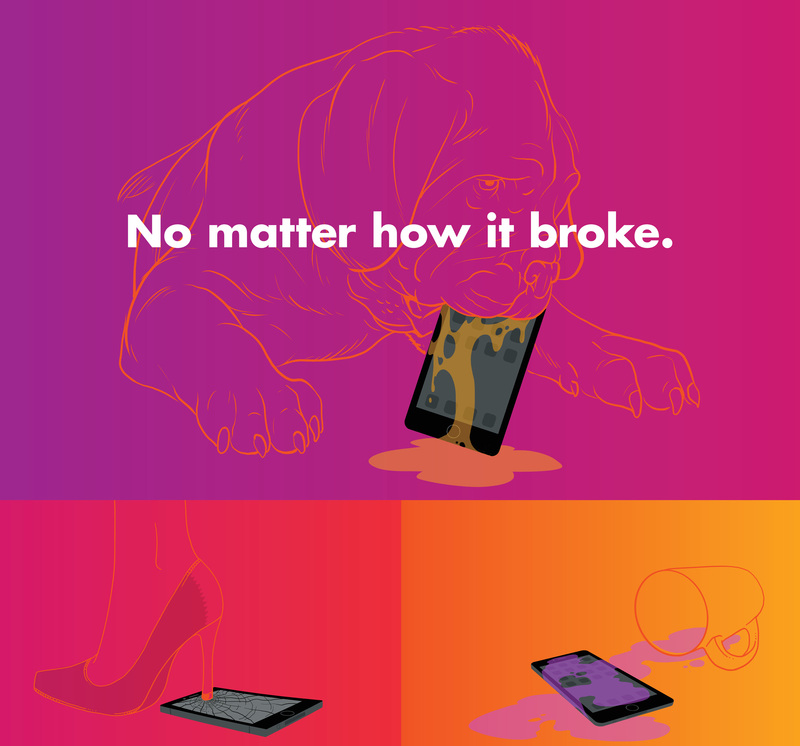 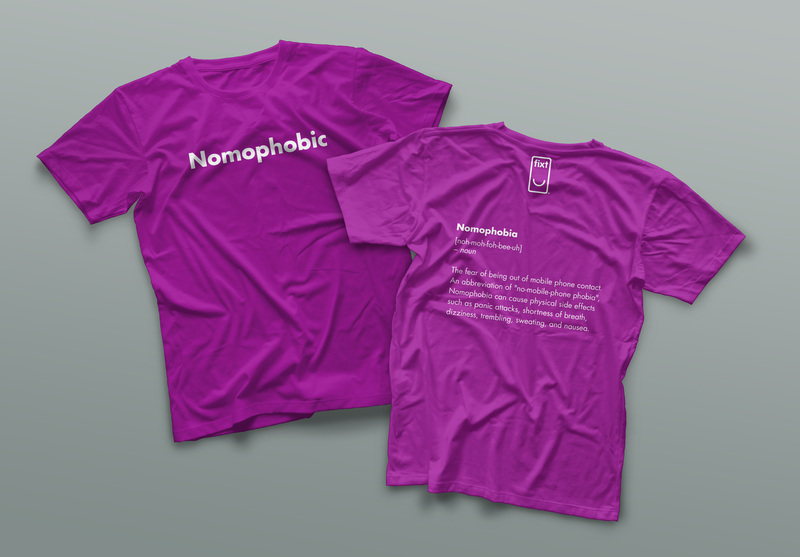 From there we created a colourful and friendly brand and voice, meant to put sad people with broken phones in a happy place.